Paul Ferreri never really stood a chance. No one expected the scrappy kid to put up much of a fight but he had won the lottery and a chance to face a seemingly unbeatable champion. Ferreri was tough, never stopped, but his record was peculiar. He had spent the majority of his career competing in his homeland of Australia before taking on a handful of fights in Italy and then a single bout in the Philippines just prior to his title shot. He was a boxer, not a puncher, a fact evidenced by his having a mere nine knockouts in 50 wins. This would be Ferreri’s first trek to America and his first fight there would be in the fabled Forum in Inglewood, California, perhaps the original birthplace of that thing we call “Mexican Style,” a special brand of fisticuffs which all red-blooded fight fans admire. “Mexican Style” was born at the hands of countless Mexican fighters who toiled with their sweat and blood. And on this hot August night, the brick in the wall was laid by the hands of one of Mexico’s most feared punchers. Carlos Zarate was unrelenting. As he entered California to make the first defense of his WBC bantamweight belt, he was approaching legendary status and carried with him a sparkling record. Undefeated through 42 bouts, his heavy fists and relentless pressure had served him well with only one man having heard the final bell. The meeting with Ferreri would mark his sixth appearance in the Forum, all six matches concluding violently for his opponents. Included in those ranks was Rodolfo Martinez, whom he knocked out inside nine rounds to win his first world championship. Under the Forum’s hot lights, the characters of the boxers emerged during the introductions. Ferreri looked trim and proper in his navy blue and white attire; Zarate was the embodiment of violence draped in red and black. Officiating the bout would be a young Richard Steele. The opening bell saw Zarate take control of ring center and begin to walk down his prey while the Aussie kept up a tight guard. Although landing little of his own, Ferreri successfully avoided taking any clean shots. In the second, there was an uptick in action, the most telling blow landed in the final second when Zarate connected with a straight right to the body. In the third, Zarate’s volume and connect rate both increased as Ferreri’s refusal to disengage on the inside was showing its consequences. Ferreri started off fast in the fourth in an attempt to gain back some form of respect but the Mexican gave none. Instead, he fought in a wide guard, content to throw heavy shots one at a time. Zarate began to pick up the pace over the next few rounds. Whereas before he exercised some caution and looked to land with precision, he now fearlessly unloaded heavy power punches. He showed a particular bias for a left to the body followed by a right uppercut up top. By the seventh, Zarate had ownership of the distance, backing Ferreri to the ropes with a determined will and unloading. The crowd responded with chants of “Mexico! Mexico!” The basement shots looked to be the most deadly, until Carlos came up high with a right in the eighth. A cut emerged over the eye of the challenger and the doctor was summoned to survey the damage. The carnage was allowed to continue. Ferreri’s eye continued to swell but the punishment was not confined to just one place. Zarate boxed with supreme confidence and varied his attack constantly. 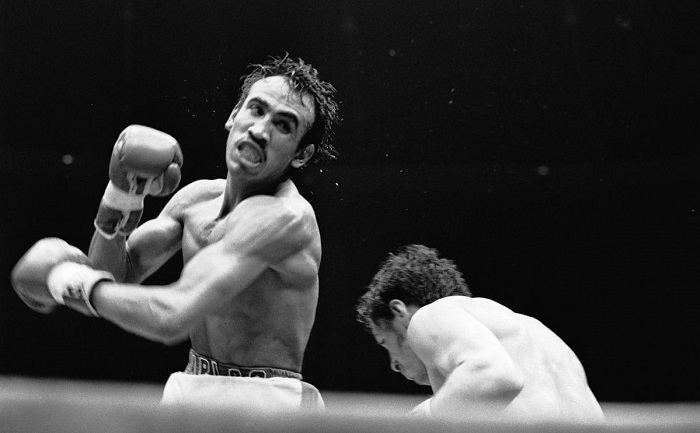 The tenth round saw a battered but tough Ferreri labor to throw his punches with any conviction. The eleventh began with a much slower and flat-footed Ferreri attempting desperately to stave off the Mexican’s attacks. Both arms were now needed to block the body shots as the proud Aussie offered no retreat through the end of the round. Now entering a dozen rounds, Paul’s right brow seemed to dangle above his eye. To compound his problems, another clean shot opened up a cut above his left eye. Finally, Richard Steele had seen enough and saved the scrappy Ferreri from any more damage. In the end, the upstart proved to be more of a challenge than anyone had expected. Carlos typically ran through his opponents with speed and ease and to date, only Martinez had lasted as late as the ninth round. The scrappy Australian had at least extended the Mexican juggernaut longer than anyone expected. The paths the two fighters took thereafter were markedly different. For the next ten years, Ferreri fought 38 more times, his record during that run was 28-10. 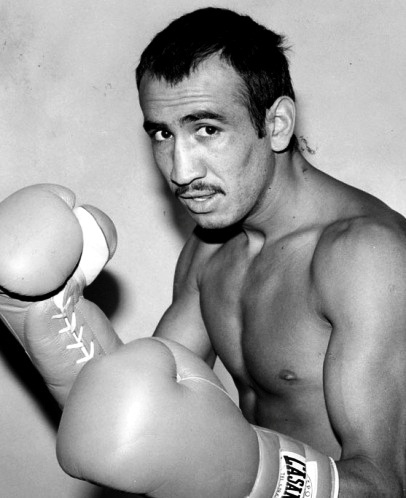 Although he would participate in numerous Australian and Commonwealth title fights, the Zarate tilt would be his lone appearance on the world stage. 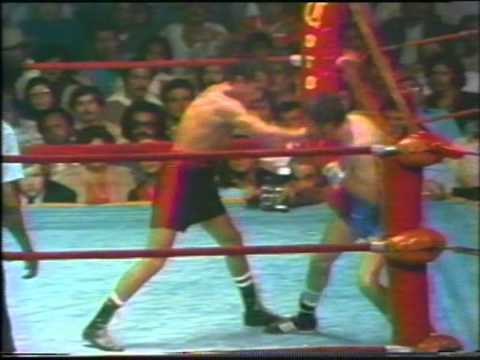 Meanwhile Carlos Zarate etched his place into the pantheon of Mexico’s all-time greats, Ferreri representing the first of eight consecutive defenses of his WBC bantamweight belt. His first loss came when he moved up in weight to challenge another Hall of Famer, Wilfredo Gomez. One more defense of his title followed before he eventually dropped the strap to fellow Mexican immortal Lupe Pintor via controversial decision and retired. Some six years later the former champion embarked on a comeback, scoring 12 wins, 11 by knockout, before Australian boxing fans enjoyed a bit of revenge when Jeff Fenech defeated him by technical decision. 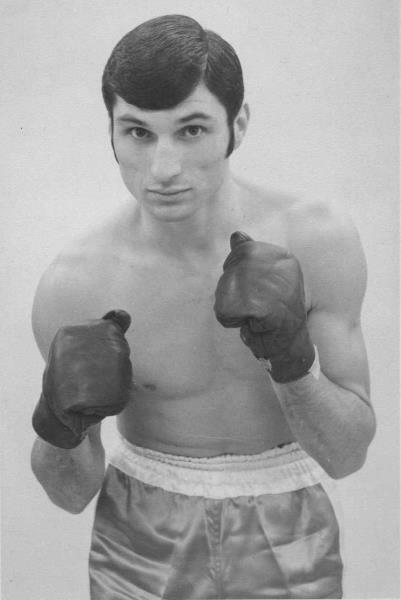 Paul Ferreri fought WBA bantamweight champion Arnold Taylor in a non-title bout in Cape Town, South Africa in 1974 (L10). He was a crafty, courageous fighter. He died in 2017.